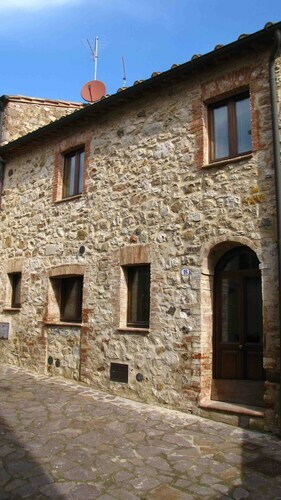 Situated in Castiglione d'Orcia, this apartment building is 0.3 mi (0.5 km) from Fortress of Tentennano and 2.4 mi (3.9 km) from Piazza delle Sorgenti. Horti Leonini and Palazzo Chigi are also within 9 mi (15 km). Located in the heart of Castiglione d'Orcia, this romantic vacation home is 0.3 mi (0.5 km) from Fortress of Tentennano and 2.7 mi (4.3 km) from Piazza delle Sorgenti. Horti Leonini and Palazzo Chigi are also within 9 mi (15 km). Situated in Castiglione d'Orcia, this historic vacation home is 0.4 mi (0.6 km) from Fortress of Tentennano and 2.7 mi (4.4 km) from Piazza delle Sorgenti. Horti Leonini and Palazzo Chigi are also within 9 mi (15 km). 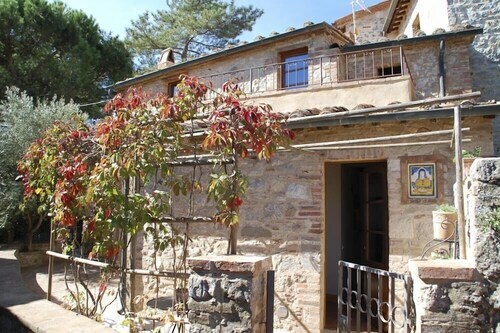 Situated in a rural location, this historic vacation home is 0.3 mi (0.6 km) from Fortress of Tentennano and 2.7 mi (4.3 km) from Piazza delle Sorgenti. Horti Leonini and Palazzo Chigi are also within 6 mi (10 km). This family-friendly Castiglione d'Orcia property is located in a rural location, within 3 mi (5 km) of Fortress of Tentennano and Piazza delle Sorgenti. Horti Leonini and Palazzo Chigi are also within 6 mi (10 km). 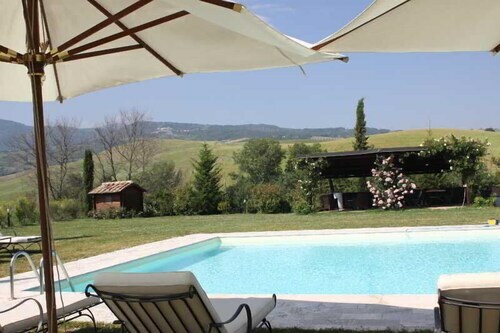 Situated in Castiglione d'Orcia, this farm stay is 1.2 mi (2 km) from Fortress of Tentennano and within 9 mi (15 km) of Piazza delle Sorgenti and Horti Leonini. Palazzo Chigi and Collegiate Church of San Quirico are also within 9 mi (15 km). Situated in Castiglione d'Orcia, this property is 1 mi (1.6 km) from Piazza delle Sorgenti and 2.9 mi (4.7 km) from Fortress of Tentennano. Horti Leonini and Palazzo Chigi are also within 6 mi (10 km). Situated in Castiglione d'Orcia, this property is 1.3 mi (2 km) from Fortress of Tentennano and within 6 mi (10 km) of Piazza delle Sorgenti and Horti Leonini. Palazzo Chigi and Collegiate Church of San Quirico are also within 6 mi (10 km). Situated in San Quirico d'Orcia, this spa hotel is 0.1 mi (0.1 km) from Piazza delle Sorgenti and 2.6 mi (4.2 km) from Fortress of Tentennano. Horti Leonini and Palazzo Chigi are also within 6 mi (10 km). Enjoy your experience at Fortress of Tentennano. You will find it in Val d'Orcia, roughly 90 miles (145 kilometers) outside of the national capital, Rome. If you prefer to be within close reach of the action, you won't be disappointed. There are 3 accommodation options waiting for you nearby. 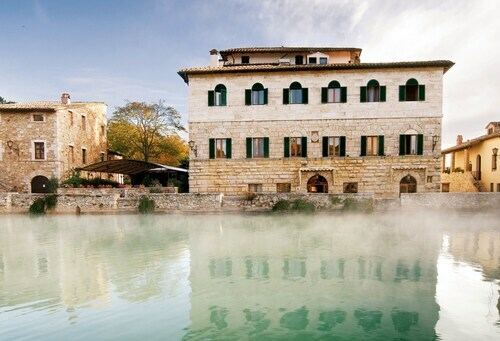 Located within 2 miles (3 kilometers) of Fortress of Tentennano, the Adler Thermae Spa & Wellness Resort and Hotel Osteria Dell Orcia are certain to tick all your boxes. For visitors that want low prices, consider reserving a room at one of the affordable accommodations here. 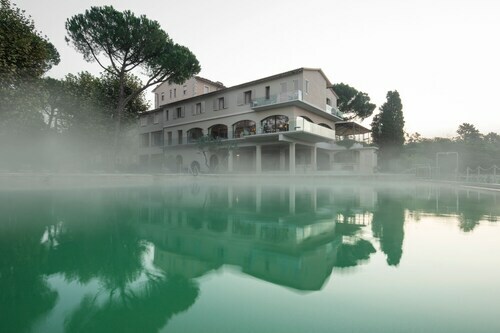 Some of your choices are the Agriturismo Il Rigo and the Sant'Alberto. You won't be able to take your life savings with you when you're gone. Use them while you can and spend a night at one of the handful of upscale hotels that are a brief commute away. Quality choices are the Castello di Velona SPA Resort & Winery and Palazzo del Capitano Wellness e Relais. Just a stroll from Fortress of Tentennano, Il Cerchio Delle Streghe (Piazzale Aleardo Monaci, Castiglione d'Orcia) is among the best places to head for a meal following a day of exploration. You may wish to do little more than let yourself go a little, go ahead and order a drink at Il Ritrovino (Via del Fosso, 2, Castiglione d'Orcia), and enjoy the banter of fellow travelers and friends. It's a real treat to be able to see the many flowers and botanical displays of Horti Leonini, a beautiful, privately owned garden. If you love all things historical, don't miss Palazzo Chigi, an imposing structure renowned for its architecture and storied past. Spend time at Collegiate Church of San Quirico and get better acquainted with the spiritual side of this area. You may have heard some savvy locals mention Chapel of our Lady of Vitaleta. This private club offers its numerous members regular access to a variety of excellent event and activity facilities. Head over to Abbazia di Sant'Antimo and experience monastic life at this sacred place. How Much is a Hotel Room in Fortress of Tentennano? Hotels in Fortress of Tentennano start at $192 per night. Prices and availability subject to change. Additional terms may apply.